Enjoy DRM protected songs on any devices - anywhere! 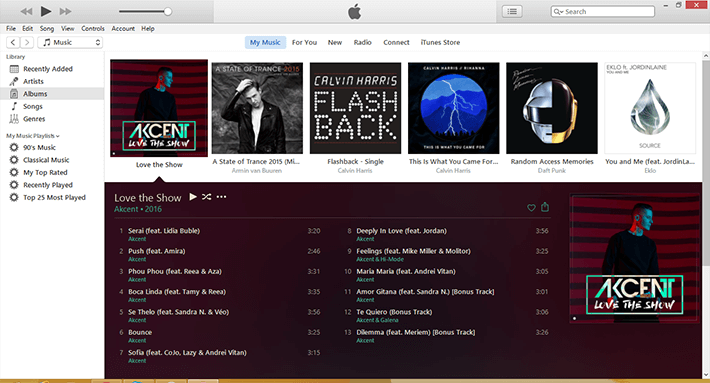 The iTunes store is one cool place where you can get lots of songs in pretty good quality. Almost record labels publish their songs first on that platform. While most songs are DRM-free, there are some songs for which limited rights are granted to Apple by record labels. The playback rights of such songs are protected by FairPlay DRM. This DRM lets you play songs on iTunes-enabled devices like Macs, Windows PCs and Apple iOS devices like iPhone, iPod and iPad. Also, You can burn the protected songs on up to 7 audio CDs. But what if you have non-Apple devices like Android phone, tablet or third-party MP3 players? You’re pretty much out of luck. However, there is a solution. AppleMacSoft’s Easy DRM Converter strips the DRM from iTunes protected formats. The end result is an audio file in a free format that you can play anywhere and on any device of your liking, whether it is an Android phone, a third party music player or your car stereo. Sounds great? 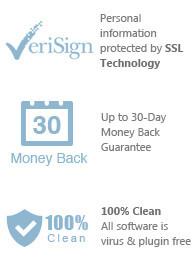 Follow the steps below to find out how to use it. How to convert DRM protected songs to MP3 on your Windows? This little tutorial assumes that you have Windows 7/8/8.1 or Windows 10 and the latest version of iTunes, along with some music purchases which are DRM-protected. First of all, launch your iTunes. You’ll see your purchases listed in the Library or the Albums section. 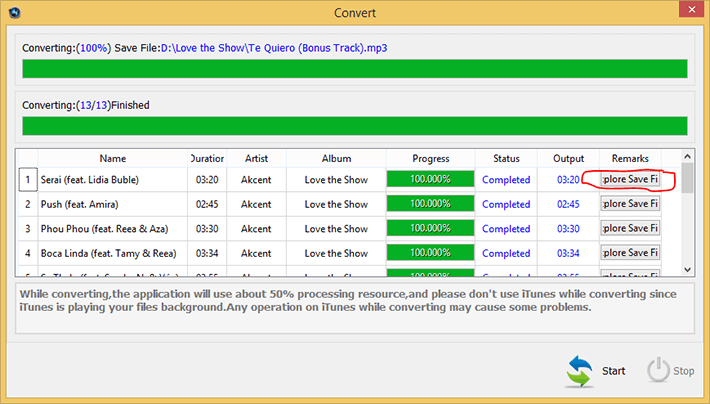 In this example, I have purchased the entire ‘Akcent - Love the Show’ music album. The music is playable right in iTunes and I can transfer to my Apple device but not elsewhere. Now, launch Easy DRM Converter from the Start Menu. The start screen shows all the list of iTunes library locations on the left panel, audio tracks and track information at the centre and output conversion options on the bottom panel. The top bar shows has a button to refresh the track listing, a Options button to button change app preferences and start the DRM conversion. The app preferences window gives an option to customize the application looks and several conversion options. Some of the settings are conversion speed/quality, custom output filename and enabling ID3 tags. 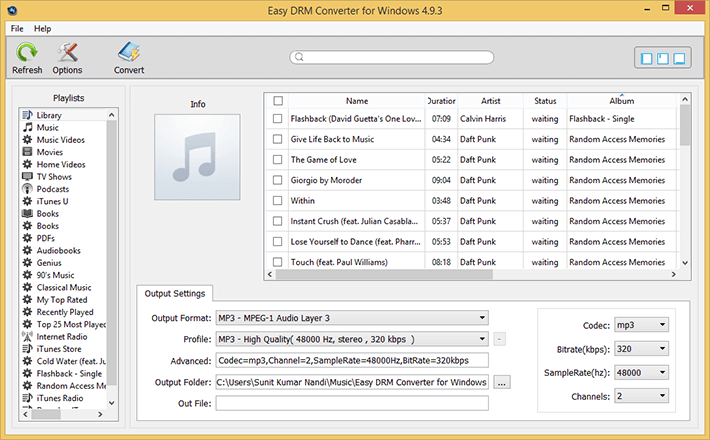 Now click the refresh button on the main window of Easy DRM Converter to make sure that the library is up to date. 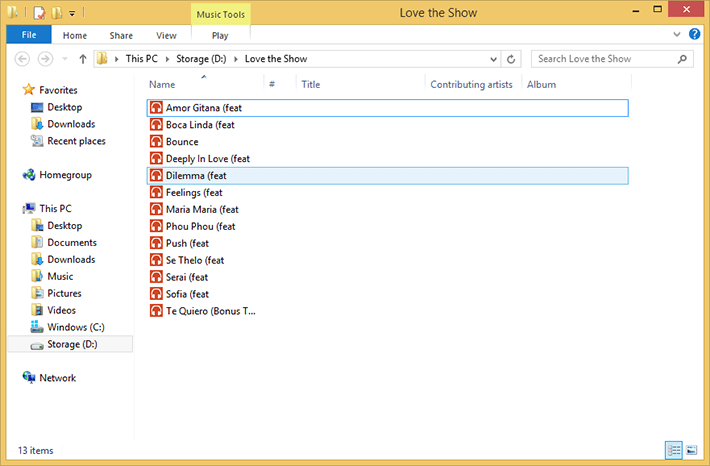 Now enter the name of the album in the search bar, namely ‘love the show’. All the songs in that album get listed. Checkmark all the songs using the the ‘check all’ box on top of the songs list. Then set the output format to ‘MP3’ and the profile to ‘High Quality’. Also, set the output folder according to your liking. Click the ‘Convert’ button. The DRM protected songs conversion begins and takes a while to complete. 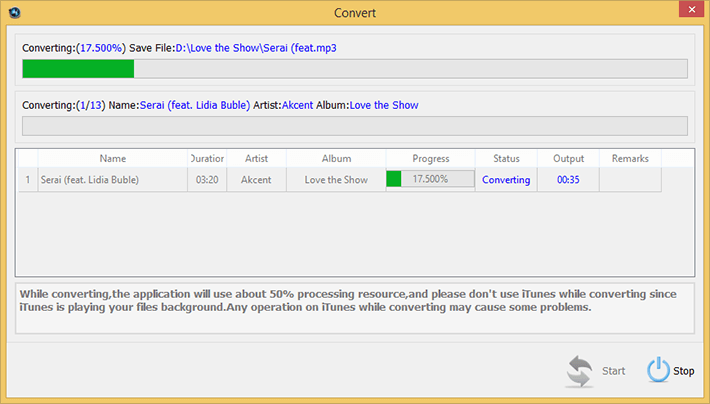 Once complete, click the ‘Explore Save File’ button to locate the converted MP3 files. The DRM-free MP3 files are in the location you had specified. These MP3 files are now playable on any player and any audio device. 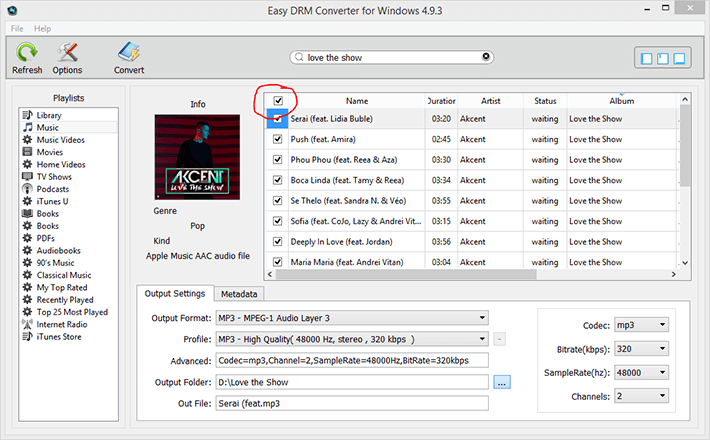 Easy DRM Converter is a really smart tool to strip off DRM from iTunes protected songs and convert them to MP3, making them playable on any device. With this method, you can enjoy your purchased songs anywhere you like. 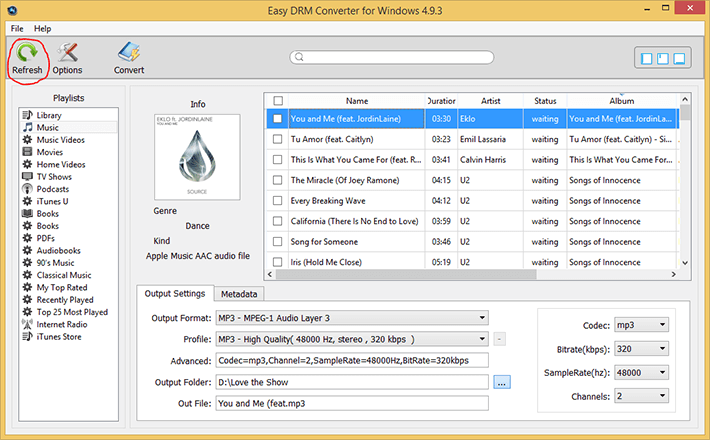 The free trial of Easy DRM converter can be downloaded from here and purchased from our online order page at a low price of $39.95 USD. I’d recommend it to all iTunes users. 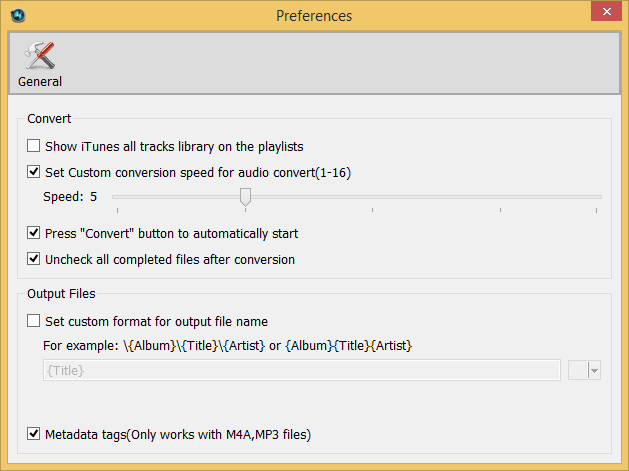 Convert M4P to MP3 with my iTunes on Mac. You can immediately download the latest version of Easry M4P Converter for Windows from our website and start to trial it right now!